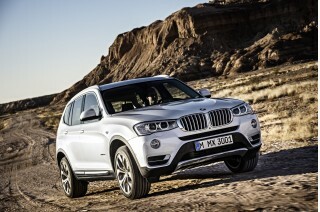 The diesel-powered Q5 is gone, but the Hybrid model isn't a bad pick for green buyers either. We like its smooth power delivery. The 2016 Audi Q5 offers one of the greatest range of powertrain choices in its class, ensuring that almost anyone can find a version of this handsome small crossover to fit their tastes. There are good reasons the Audi Q5 has been a perennial best-seller in its segment: it delivers what every compact luxury crossover SUV shopper seeks. 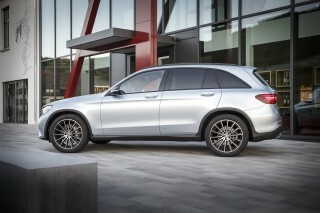 It has good handling and acceleration coupled with very good gas mileage-and does it all while delivering more ground clearance and a higher driving position than a comparable sedan or wagon. The Q5 is more a tall Audi wagon with even more space, than a shrunken Q7. It's styled well, and trimmed with a deft touch. The look fits in with Audi's sedan family, and blends in despite its big grille and LED-rimmed headlamps. The cabin elevates the experience with options for layered-oak trim and suede. We do wish Audi would reduce its switch and button count, and consider touchscreens instead of the knob-controlled interface it now uses. 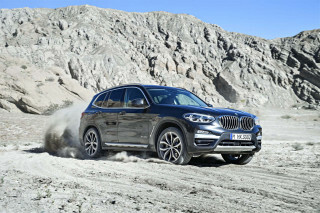 We're happy with any of the Q5's engines, but the turbo-4 is a new favorite. It's nearly as quick as the supercharged V-6, and puts less weight on the front end than the 3.0T, which has a 272-hp supercharged V-6 and is plenty of fun. The efficient Q5 Hybrid blends the power from the 2.0-liter four with that of a 54-hp electric motor fed by lithium-ion batteries for 245 hp net. Audi sold a diesel-powered Q5 in the U.S. up until 2015, when the automaker announced its engine polluted beyond legal limits. The company has said that it is working to fix those engines, but haven't announced when those cars might return. The SQ5 might be the best of all, with its 354-hp V-6 and upgraded suspension. 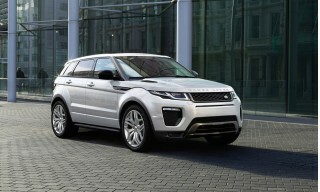 All-wheel drive is now standard, as is an 8-speed, paddle-shifted automatic. In all versions save for the hybrid, the Q5 excels at tackling corners and in passing. 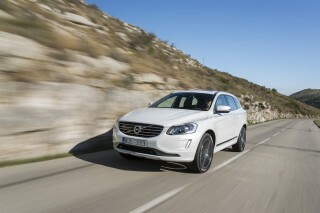 It truly handles like a car, with the lean, responsive feel of a lower-riding wagon. We'd pass on the user-adjustable driving inputs of Drive Select and buy the stock suspension and steering setups. Passengers sit relatively high in the Q5, with more than enough head room and leg room in front, and the seats are firm and adjustable to a wide range of sizes. Even in back, there's enough leg room for most adults, thanks to a rather long wheelbase. Cabin materials are about the best they come in this class, with a rich, unified feel throughout and nice detailing. The Q5 has excellent build quality and a tight, refined feel overall-although road noise can be an issue. The Audi Q5 comes with one of the most complete sets of safety features in this class; rear thorax airbags, which aren't broadly offered, are optional here. A rearview camera is available, but only in an expensive bundle of features. Bluetooth is now standard. The Q5 can be equipped with plenty of features, and choosing several can quickly raise the sticker price. Standard equipment includes a 10-speaker sound system, heated mirrors, leather upholstery, power front seats, tri-zone climate control, Sirius satellite radio, iPod connectivity, and an SD card slot that can manage up to 32 GB of music. Premium Plus and Prestige models load on the luxuries, and a Q5 3.0T can easily top $55,000. 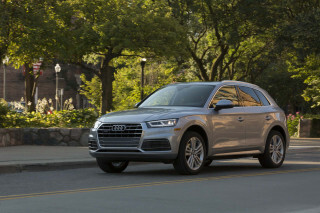 The Q5 also now offers as optional equipment Audi Connect 3G wireless internet service, Google Earth mapping, adaptive cruise control with full braking at speeds of up to 19 mph, and a rear-seat entertainment system. The 2016 model year brings a few additions to the standard-equipment list as well as some new package contents and options. All Q5s now include a three-spoke multi-function steering wheel and the panoramic sunroof, while Audi connect is now available as part of the Navigation Plus package. Premium Plus models with the available Technology package now include a Bang &amp; Olufsen sound system. An adaptive damping suspension is now available as a stand-alone option on Q5 Premium Plus models, which is available with the 3.0T engine. The base Q5 offers the best compromise for both value and gas mileage. At 20 mpg city, 28 highway, 23 combined, according to the EPA, it's competitive in its class. We've seen about 24 mpg in a mix of spirited city and highway driving. The Hybrid model is rated at 24/30/26 mpg. Throughout the 2016 Audi Q5, everything's in order—and it's very stylish. The 2016 Audi Q5 adopts a more subtle take on SUV styling. Its design is simple yet handsome, both inside and out. The Q5 is related to Audi's Allroad wagon underneath, and the two are visual kin as well. They share the rounded, soft styling cues common to all current Audis. The difference is that the Q5 is slightly taller and blunter than the related wagon. A minor restyling in 2014 retouched the grille and trimmed down the headlamps, while also adding LED taillights. It did nothing to dilute the Q5's best features--its car-like sculpturing. The Q5's cabin gets its style from a lack of drama, a lack of sub-par materials, and an absence of cheapness. The nicely detailed dash pleases just about every eye, just as the same theme does in just about every Audi cockpit. The Q5 has a console wider than most, which divides the driver and passenger more emphatically, but it doesn't cut into room much. The dash itself sits closer and more upright than in Audi's sedans, which gives the SUV a sense of spaciousness. We love Audi's layered-oak interior, an option that gives the cabin the look of fine furniture. All these details are framed in leather, metallic trim, and high-quality low-gloss plastic. The dash is cluttered, but the high grade of finishes gives it a uniform look. There are lots of buttons, though. The supercharged V-6 is the most enjoyable, but the base engine is OK too. The 2016 Audi Q5 could be described as having a case of multiple-personality disorder, but that's OK with us. Audi lays out five powertrain choices, with each bringing different dynamics. The characters range from sensible to enthusiastic-and with each one a well-sorted suspension provides grace and ease for the Q5's movements. The base Audi Q5 comes with a turb-4 with a torquey, energetic feel that adds up to more than its stated 220 hp. The Q5 doesn't make that easy, with its 4,100 lb curb weight in base trim. Nonetheless, the turbo-4 is assertive, doesn't have too much lag, and can run off 0-60 mph times of 7.0 seconds on its way to a top speed of 130 mph. Next up is a 272-hp supercharged 3.0-liter V-6, coupled to an 8-speed automatic and all-wheel drive. With about 250 pounds more to carry around, it's still able to crack off 0-60 mph times of 6.0 seconds. It can needle through traffic and blast off exit ramps a little quicker, but the magnitude of difference over the turbo-4 is not immense. Green-minded shoppers will choose between a Hybrid and a turbodiesel TDI. The Hybrid couples the turbocharged inline-4 to an electric motor fed by lithium-ion batteries. With 245 hp net and 354 lb-ft of torque, the Hybrid can hit 60 mph in 6.8 seconds and can deliver 26 mpg combined. At the top of the range sits the SQ5, which is covered in a separate entry. Its high-output V-6 sports 354 hp and scoots to 60 mph in 5.1 seconds, on to a 155-mph top speed. With responsive shifts and closely spaced gears, the 8-speed automatic makes the most of its paddle shifters. As for off-road capability, the Q5 is better at all-weather situations where the pavement's covered in deep snow or gravel. Top tow ratings of 4,400 pounds mean anything you pull behind the Q5 will be relatively small. Carlike and taut in its road manners, the Q5 has the dynamic edge in its class. 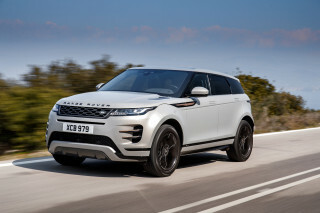 The lightweight turbo-4 version is the best, giving it a lightness at the front end that belies its front-drive underpinnings. Given the choice, we'd skip Audi's Drive Select system, which fiddles with the car's throttle, steering, and transmission settings. It's well-tuned in its base setup, though the electric steering is numb. It tracks well and feels predictable, something we can't say of Drive Select's nervous steering programs. If you opt into Drive Select, you'll choose from among its comfort, auto, and sport modes, or come up with your own in Individual mode. Each one seems to be out of touch in tunability, relative to the other, but maybe you'll find a golden mean. We'd rather spend up to the Bang &amp; Olufsen audio. There's plenty of passenger space in the 2016 Q5—and enough space for a few carry-ons. The 2016 Audi Q5 makes the most of its compact footprint, wrapping its passengers in a spacious, comfortable, and luxurious cabin. It does a good job when called up for cargo hauling duty as well. Inside, the Q5 delivers a bright, richly finished cockpit with a fine eye to details and to choices for interior trim. The build quality has been uniformly excellent in the most recent few examples we've driven, and although road noise is more present in four-cylinder models, the Q5 carries itself with the refined feel that comes from a tight body structure. The driver and front passenger have a commanding view of the road ahead from very comfortable standard seats; the Comfort package's heating and ventilation aren't too soft to retain that support. With the range of adjustments available from power seats and tilt/telescoping steering wheel, finding an excellent driving position is easy. We might pass on the panoramic sunroof if head room was an extreme concern, but it lets in so much light, those tall family members will have to be frequent travelers. Even in the back seat, there's enough leg room for most adults, thanks to a rather long wheelbase. The tight leg room of the A4-based Allroad isn't a factor here, although just as in any compact crossover, you won't be able to fit three adults comfortably across the second-row bench seat. The rear seat slides on a track, and the seat backs recline for better touring comfort-while they also fold down for more cargo space. 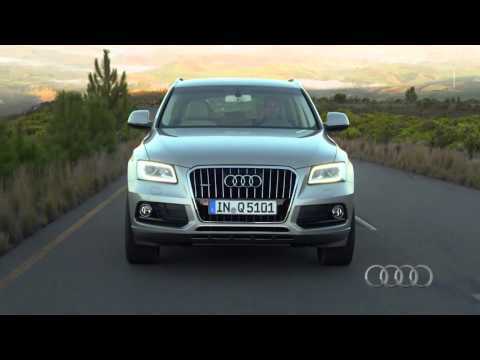 The 2016 Q5 is among the best in its class in terms of safety. Audi's Q5 continues to excel in crash tests for 2016, providing leading scores in most categories. It also offers an array of advanced safety tech, either as standard equipment or on the options sheet. The NHTSA awards the Q5 an overall score of four stars. Side-impact protection earns five stars, and it gets four stars in front crash and rollover. The IIHS gives the Q5 “Good” ratings in all categories now that it has been evaluated in the new small-overlap test. That, along with an “Advanced” rating for frontal crash prevention, qualify it for Top Safety Pick+ status. Rear-seat side airbags and all-wheel drive are available on the Q5. Audi's forward-collision warning system, dubbed &quot;Pre Sense,&quot; is an option. Bluetooth has become standard, and blind-spot monitors can be had on almost every model. The Q5 still doesn't have a standard rearview camera, though. It's an option in an expensive package, offered only on the more expensive models. The Q5 has good outward vision, big side mirrors, and a relatively unobstructed view to the rear quarters. The Google Earth maps in the Q5's infotainment system are a standout. The 2016 Audi Q5 starts at $41,825 for a base 2.0T model, but it's easy to move the sticker past $50,000 with the various powertrains, packages, and standalone options. Audi offers the Q5 in Premium, Premium Plus, and Prestige models, although not all powertrains are available in all trim levels. All Q5s now come with Bluetooth and iPod connectivity, as well as keyless entry. Power features, leather, and walnut trim also are included, as are power front seats and satellite radio. A panoramic sunroof is newly standard this year. 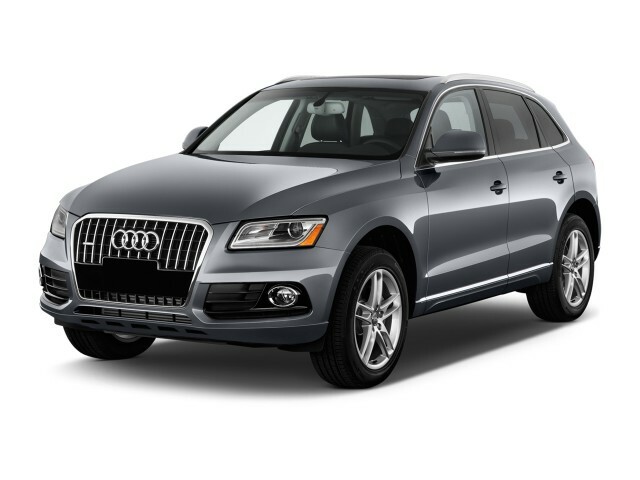 At the Premium Plus level, the Q5 gains a standard set of heated front seats, a power tailgate, and xenon headlights. 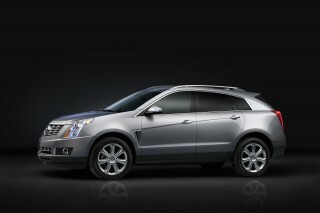 Among the options are sport seats, navigation, a rearview camera, aluminum trim, and a rear-seat entertainment system. The Q5 3.0T gets all that and 19-inch wheels, while the Prestige trim piles on navigation, blind-spot monitors, adaptive lighting, Bang &amp; Olufsen audio, and a heated/cooled cupholder. Options include Audi Drive Select, 20-inch wheels, adaptive suspension, and adaptive cruise control. It's easy to rack up a $55,000 bill. Hybrids are sold only in Prestige trim, with options for either the Sport or Comfort interiors. Audi has done a good job grooming its Multi-Media Interface (MMI). It's maybe the best of the roller-controlled systems, but it lacks some voice commands. Without a touchscreen, some commands are more than a few gestures away. Audi does offer in-vehicle data services including Google Earth maps and wireless connectivity for up to 8 devices. None of the 2016 Audi Q5 models are gas guzzlers, but the hybrid model is particularly fuel-stingy. With the 2016 Audi Q5's varied powertrains come a range of fuel-economy ratings. Some compact luxury crossovers can outshine the fuel mileage of certain Q5 powertrains, but the little Audi remains one of the leaders in the luxury market. Both figures trail vehicles such as the Chevy Equinox, which earns a 32-mpg highway rating in four-cylinder form, albeit with front-wheel drive versus the Q5's standard quattro all-wheel drive. 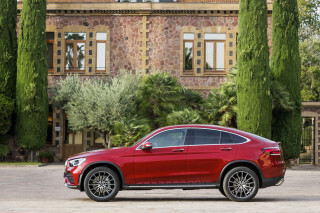 The Q5 with the supercharged 3.0-liter V-6 is at the opposite end of the spectrum, with ratings of 18/26/21 mpg, according to the EPA. In 2015, Audi stopped sales of its Q5 diesel version after the company admitted its engines polluted beyond legal limits. The company has said it is working toward a fix for those cars.